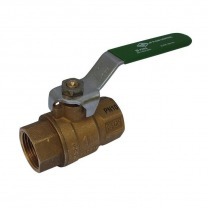 Brass is the most common material for ball valve housings. Brass is an alloy made of copper and zinc. It has good properties for use with water, (compressed) air, oils and many other media. Brass is not suitable for salt water or distilled water. Some valve types have approval for use in drinking water applications (WRAS) or gas appliances (EN 331, ITS, DVGW). Valves with ISO-top (ISO 5211) are suitable for electrical or pneumatical actuation.